Many people need help with cleaning but they don’t know whom to turn to. There is no need to wonder which company to hire, just come to John’s Cleaning Services and we will help you out. 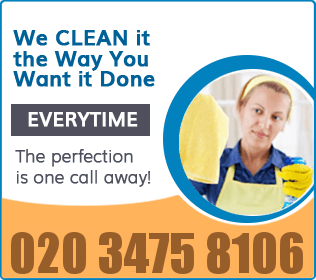 We are cleaning experts who provide low-cost, high-quality and professional cleaning services in Notting Hill W11. We have a wide range of services to help you with, such as after builders cleaning, domestic cleaning, oven cleaning and much more. You can use our company and enjoy a cleaner home every day. We can be contacted 24/7. Give us a ring. You should know that each of the services we offer is done by a certified technician and we take pride in our company. We are really professional and we understand your needs. If you want to know what cleaning packages we offer, keep reading. For homes, there are plenty of options here. To begin with, we have a domestic cleaning service. It focuses on basic household chores like dusting, washing the dishes, cleaning the bathroom, vacuuming, etc. One of the things that sets it apart from the rest of our services is that we can provide it on a regular basis. Then we also have sofa and carpet cleaning. What’s good about them is that they can be ordered separately or as part of our spring/deep cleaning service. We complete the service in your very home. Next, we also deliver oven cleaning, which – again – can be part of our spring/deep cleaning service. Furthermore, we have end of tenancy cleaning. If you are too busy handling your house move, leave the final cleaning to us and we will work miracles. The service is guaranteed. And finally, we provide after builders cleaning services. If your home looks terrible after your renovation, it’s best to count on us for a good clean. We believe our cleaning services in Notting Hill W11 and your preferences are a good match. If you want to schedule a service, please complete our enquiry form or give us a call. We will advise you on our services and give you a free quote.